"Home event for Canadian driver Anthony Simone"
July 3, 2018 – Entering the home event for driver Anthony Simone, Forty7 Motorsports Featuring Alianza Motorsports will see action this coming weekend at the Canadian Tire Motorsports Park (CTMP) near Bowmanville, Ontario, Canada. 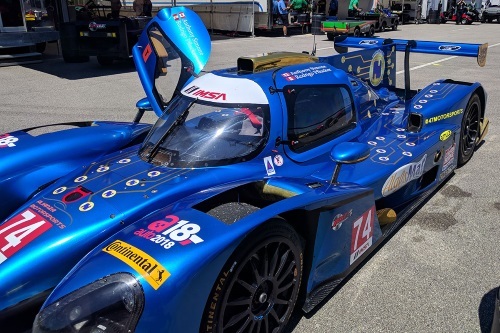 Taking on the IMSA Prototype Challenge Presented by Mazda field, the New Jersey Motorsports Park based team will see drivers Simone and Rodrigo Pflucker continue their 2018 success in the Nikola Tesla Unite backed car over the July 6-8 weekend. With on track action not beginning until Friday morning, the week leading up to the event will be busy including Wednesday which will be a jam packed day for Forty7 Motorsports Featuring Alianza driver Anthony Simone. The Canadian standout will join several other teams and competitors at the SickKids Hospital for a meet and greet, bringing joy and smiles to the children that are currently in the hospital and may not be able to attend the event trackside. Later that day, Simone will be joined by co-driver driver Rodrigo Pflucker as the duo will take part in RaceFest at Young and Dundas Square in Downtown Toronto. Throughout the race weekend, Simone and Pflucker will take part in several meet and greets as well as autograph sessions at the Alianza Motorsports private VIP Suite next to Grand Prix Club overlooking turn one at the Canadian Motorsports Park. Kelly continued, “It is going to be a very busy week but we can’t wait. While our marketing and promotion of our partners takes precedent leading up the race weekend, come Friday, we will be focused on speed and results. 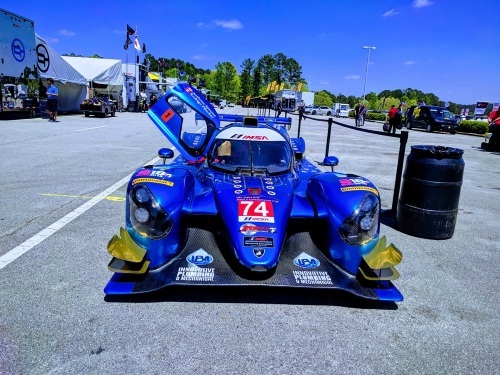 I would personally like to welcome everyone in the paddock to come and check out the Forty7 Motorsports Featuring Alianza program, drivers and learn about our primary partner, Nikola Tesla Unite and NIKO Coins, and support the first cryptocurrency sponsorship in the motorsports world.” For more information on Nikola Tesla Unite and the NIKO brand of cryptocurrency, please contact Jane Anderson at 1.833.TESLA 56 or via e-mail to Media@NIKO.eco. 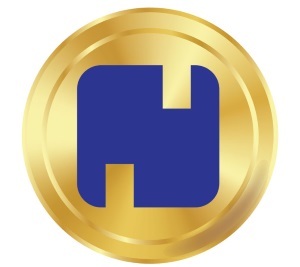 To visit them online, please visit www.NIKO.eco. or www.nikolateslaunite.com. Tickets for the Grand Prix Club are still available by contacting Media@AlianzaMotorsports.com.